Green tea is one of the best health supplements today. Full of bioactive compounds it helps improve health and overall well-being. But did you know that green tea can work wonders for the health of your hair as well. 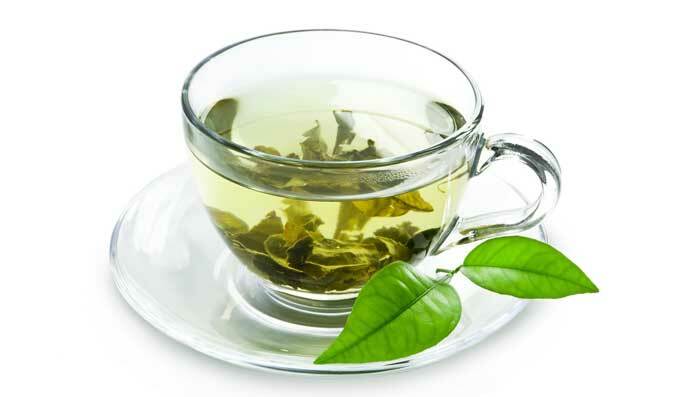 The flavonoids and antioxidants in the green tea help improves the scalp health and promote long and strong hair. It also aids in hair fall and prevents baldness, especially in men. This green tea hair mask is very good for promoting hair health as both the main ingredients are rich in Vitamin C and E. Mustard helps in stimulating hair growth and heals split ends, hair thinning and brittle and dry hair. Green tea helps in moisturizing the scalp. This wonderful mask with egg and green tea for hair growth strengthens the roots and follicles and prevents infections on the scalp. Egg also provides natural shine to hair strands. This is a great mask if you are wondering how to use green tea for hair growth. Coconut has immense antibacterial properties and helps in conditioning and keeping the scalp free of impurities and free radicals. Garlic is one of the best natural ingredients to prevent hair fall as it helps strengthen the hair roots. Antioxidants in green tea along with olive oil make the hair soft, shiny and bouncy. Honey is a magic ingredient when it comes to aiding human body. From skin to hair, honey has various benefits and when combined with green tea, it work wonders. Loaded with medicinal agents, honey helps in making hair strong and long. Follow this tips for long hair . It also moisturizes and hydrates the scalp, getting rid of free radicals like dandruff. Just regularly apply this mask of honey and green tea and measure hair loss before and after and you would be pleasantly surprised. Aloe vera is always known for its medicinal properties. It provides the required minerals that help strengthen the hair roots, thereby lessening hair fall. This aloe vera and green tea hair mask is very easy to make and use. Fenugreek seeds not only strengthen the hair roots but also give the hair the much needed shine and boost. Fenugreek makes the hair thicker and increases volume immensely. Almonds are full of vitamin E which provides a lot of nutrition for hair. For those wondering how to use green tea for hair loss this is the best way.